Apple confirmed rumors of a September 12 iPhone 5 release date this week with the announcement of an official media event at the Yerba Buena center in San Francisco, California. iPhone 5 features have been the subject of much rumor and speculation, but a huge volume of part leaks and have given an unprecedented look at Apple’s sixth-generation iPhone. Here’s a full rundown on everything we expect to see on launch-day. The most noticeable change in the iPhone 5 from the current-model 4S is the larger 4-inch screen. As indicated by design documents, mock-ups and numerous part leaks, the iPhone 5 display will be longer to accommodate a ‘taller’ screen, but the device will not be any wider. While none of these leaks can be officially confirmed, the sheer volume and consistency of the reports suggests that what we’ve seen so far is likely what we’re going to see on the iPhone 5 release date. The extra screen length means that the home screen will feature an extra row of apps, and movies will play in native 16:9 widescreen. iOS 6 developer logs have shown that the iPhone 5 will support a display resolution of 1136 x 640. 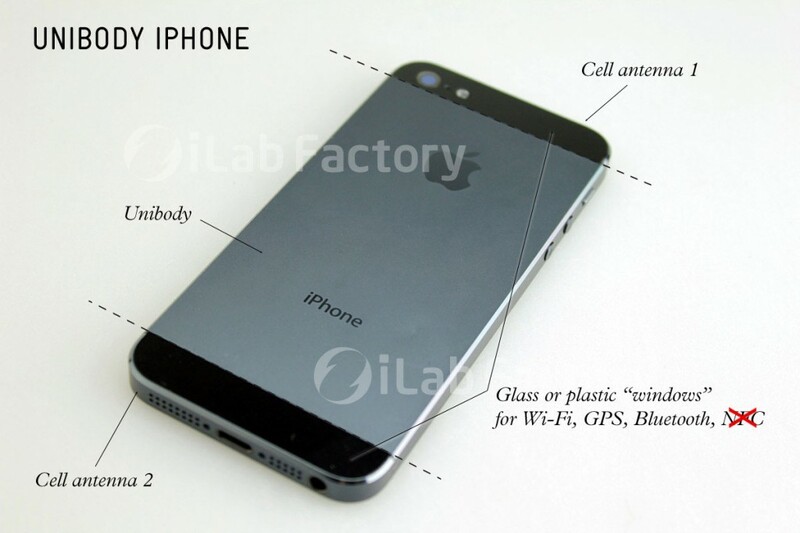 Looks-wise, the iPhone will feature a unibody aluminum design, with a two-tone backplate. 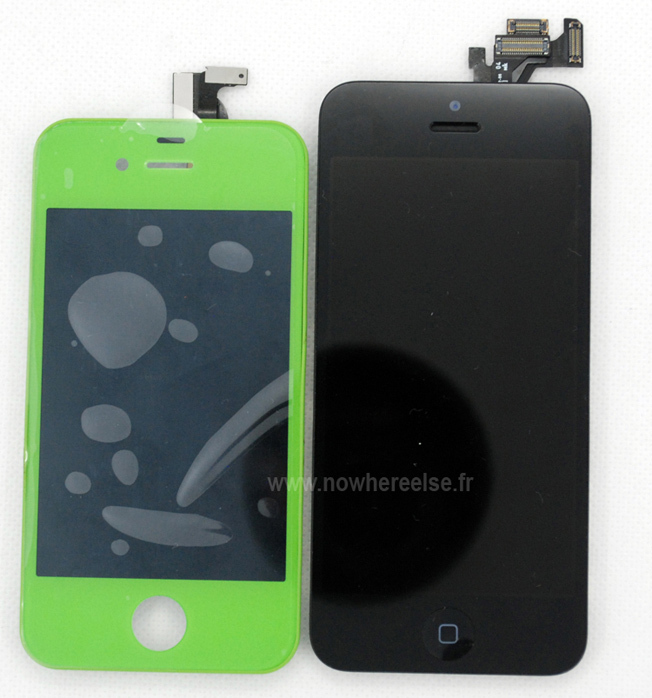 Comparisons of leaked iPhone 5 units with the 4S have shown that the new iPhone will be slightly thinner. Apple are updating the old 30-pin connector from the current iPhone and replacing it with a new, smaller “mini dock”. It’s unclear exactly how many pins the new connector will feature, but the change is expected to save on internal space at the expense of compatibility with old cables and accessories. It’s expected that Apple will release an adapter so you can use the iPhone 5 with all your old gear. In keeping with the theme of shrinking components, Apple are also expected to include a nano-SIM in the iPhone 5. At present, there are no other mobile phones on the market that use the smaller SIM card so you will not be able to swap out your existing SIM into the new model iPhone. Lastly, as indicated by parts leaks, the headphone jack is another iPhone 5 feature which has received an update, getting relocated from the top of the device to the bottom corner. The headphones themselves have also appear to have received a full redesign with photos of the new earbuds leaked just last week. In line with 4G Android releases this year, the iPhone 5 will feature LTE connectivity. Whereas the trade-off for LTE has always been battery life, the iPhone 5 is expected to feature a larger battery capable of supporting both the larger display and LTE, with equal or greater talk-time than the 4/4S. Rumors about the iPhone 5 processor have been thin on the ground, but Apple will most likely implement an A6 processor with significantly improved speeds and lower power consumption. While the iPhone 5 release date is slated for September 12, Apple is likely to open pre-orders on the 12th with retail availability expected on September 21st. Do you think the rumored iPhone 5 features are accurate? Share your thoughts on the new iPhone in the comments below.